KUCHING: It is high time for the Sarawak Rangers to be revived. The Veteran Association of Malaysian Armed Forces, Sarawak Branch chairman Roland Demong Radin says Sarawak has the manpower and expertise to do so. “I fully support this ̶ Johor has its own military force (Royal Johor Military Force) ̶ so it’s about time we have our own,” he said today. Roland, who is also the Veteran Association of Malaysian Armed Forces vice-presiden said, “Nobody knows Sarawak better than its own people (soldiers). They will make sure our 1,500-km long borders with Brunei and Kalimantan Indonesia are safe”. Meanwhile, a member of the public, who wanted to be known as Faisal, said Sarawak’s borders, especially with Indonesia, had been constantly breached. According to a previous news publication, Sarawak Patriots Association (SPA) indicated that this could only be done after the amendment of Article 1(2), Article 46 and Article 160 of the Federal Constitution where Sabah and Sarawak and Peninsular Malaysia are treated as equal partners. “Although defence comes under the federal government, with strong political will, we can revive the Sarawak Rangers where members may be drawn from the present members of the Royal Ranger Regiment,” he stressed. However, there might be a need to request the Royal Ranger Regiment to form a unit called the Sarawak Rangers and appoint competent Sarawakians to head it. He said there was also a need to enact a legislation to empower Sarawak to do that with financial support as it had competent manpower. Sarawak Rangers were a para-military unit founded in 1862 by the second White Rajah Sir Charles Anthony Brooke. According to a book entitled “War and Memory in Malaysia and Singapore”, the rangers comprising mainly Ibans and Sarawak Rangers became a military force in 1941. Highly skilled in jungle warfare, their roles were to protect the borders of Sarawak, including fighting rebels. They also fought against the Japanese in Sarawak in 1941. 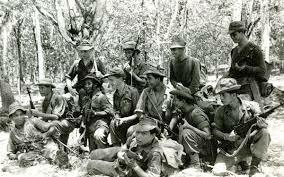 Sarawak Rangers were disbanded in 1963 after the formation of Malaysia, with members joining the Royal Ranger Regiment. High time to revive Sarawak Rangers 0 out of 5 based on 0 ratings. 0 user reviews.